ARM fill products are manufactured by an industry leading factory,which awarded with ISO 9001certificate and ISO14001 environmental management certificates.For us, QUALITY is always at the utmost importance. As a STMC compliant companies, strict qualitystandards and advanced testing lab are set up in order to make sure products areup to high standard in print quality, page yield, backgrounding, SAD and mechanicalsmoothness. This kind of investment is rare within the industry. Moreover, as our products are mainly exported to US and EUROPEANcountries, thus we also conform to various high product safety and chemicalsubstance regulations such as CE, REACH, RoHS etc. 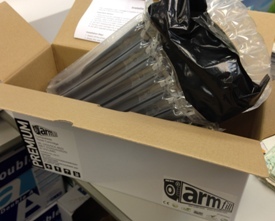 That’s why our customers ENTRUST us and maintain a long term relationship with ARM fill. STMC stands for theStandardized Test Methods Committee. This global committee formed to find andpromote standardized test methods for the printer cartridge industry. 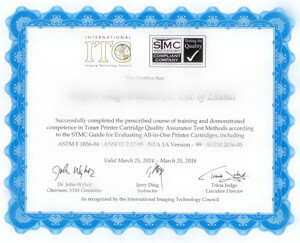 The testmethods are used to evaluate toner printer cartridge performance. Standardizedtest methods make it possible to evaluate a cartridge anywhere and come up withthe same test results no matter who tests it. Standardized tests do not specifyhow a cartridge must perform; they only measure it. A company that isSTMC certified is one that has had their employees successfully trained by anauthorized trainer in these test methods, attests to using these test methods,and has purchased the correct test equipment. The authorized trainers havetaken a training session by the Rochester Institute of Technology (RIT) andhave passed a written exam with a score of 80% or higher. There are only 10authorized trainers in addition to Dr. John Wyhof, SCC, and Lester Cornelius,OTC. The trainer will send a letter stating that the company employee(s) havesuccessfully completed the training and also has proven they have the testequipment. 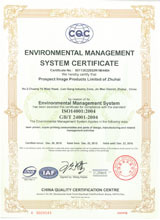 The Int’l ITC maintains a list of certified companies. STMC uses certain ASTM test methods, such as ASTM F 1856 for yield,and ASTM F 2036 for image density and background. 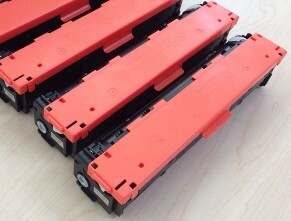 The test methods areused to evaluate a finished cartridge in comparison to another cartridge,typically an OEM cartridge. The Restrictionof Hazardous Substances Directive 2002/95/EC, (RoHS 1), short for Directive on the restriction of theuse of certain hazardous substances in electrical and electronic equipment,was adopted in February 2003 by the European Union. The RoHS 1 directive took effect on 1 July 2006, and isrequired to be enforced and became a law in each member state. This directiverestricts (with exceptions) the use of six hazardous materialsin the manufacture of various types of electronic and electrical equipment. REACH (EC 1907/2006) aimsto improve the protection of human health and the environment through thebetter and earlier identification of the intrinsic properties of chemicalsubstances. 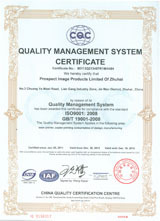 This is done by the four processes of REACH, namely theregistration, evaluation, authorization and restriction of chemicals. REACHalso aims to enhance innovation and competitiveness of the EU chemicalsindustry. ARMfill is serious in packaging，the 3 layers of packaging effective protect the cartridge from vibration and damages, thus assuring high printing quality. Layer 1: Sturdy box at right size protects cartridge from external impact. 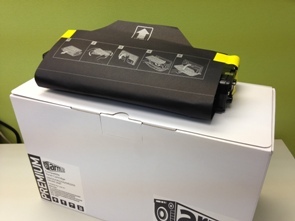 Layer 2: Inflated sleeves protects cartridge from vigorous and frequent vibration especially during transportation. Layer 3: Strong plastic protective cover make sure the drum is free from scratches.